A rent increase from the local school district could force one of Western Canada’s oldest school houses — and a pre-school co-op — to close its doors. The Strawberry Vale Co-op Preschool currently pays $230 a month for its working space in Saanich, outside of Victoria. But the local school district, which owns the building that houses the preschool, intends to increase the rent by nearly 500 per cent. But parents are fighting the rent hike. Families are holding what they’re calling a “Play In” outside of the school district office, before preschool representatives have the chance to present their argument to the board. “We’re going to ask formally for an extension so we can work with them to come to an agreement that works for everybody,” said pre-school vice-president Angie Hentze. Changes from BC Hydro could make adopting solar power tougher in B.C. BC Hydro has announced changes to its net-metering program, and the Vancouver Renewable Energy Cooperative is raising concerns that the changes will make it more difficult to install solar power in B.C. About 95 percent of the projects under net-metering are solar energy projects. The immediate change would limit the size of projects based on the utility customer’s electrical consumption in the prior year. BC Hydro has stated that this change won’t have a major affect on new participation since most projects would fall below this threshold. 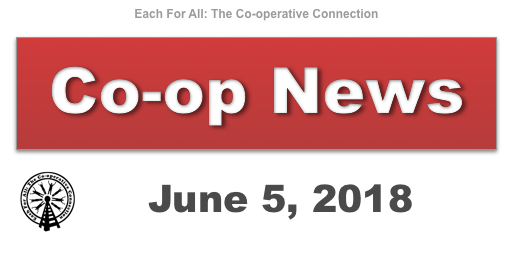 However, the submission as it is written will create additional hurdles for many new applicants and prevent some important new projects from going forward, says the co-op. The New School in New York City has announced that the Platform Co-operativism Consortium has received a Google.org grant for pioneering work on Platform Co-operativism. 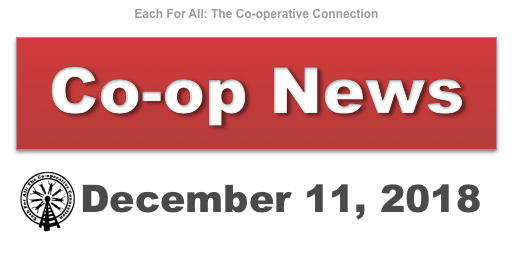 The grant supports the economic development of cooperatives in the digital economy. That includes designing open source tools that will support platform co-ops working in sectors such as child care, elder care, home services, and recycling. Platform co-ops are websites or apps that are owned and democratically governed by workers and/or users.